It was love at first sight for newlywed couple Stephen and Vicky as they first glanced upon the three-story house with a three car garage and a backyard so large, one could throw three separate Bar-B-Que's in its grassy confines. They immediately made an offer and started the hunt for a lender. The heartbreaking reality was their credit and income didn't qualify them for this dream home. Every other house they looked at in their price range was a letdown compared to their ideal domicile, and decided they would shop loans first, instead of houses, to avoid future disappointment and frustration. My advice to those who don't wish to repeat Stephen and Vicky's distress and sorrow is to seek pre-approval, which is the process of applying for a loan before finding a house you'd like to purchase. The loan agent puts together a credit package that has your loan application, credit report, income and asset information, with any supporting documentation, all wrapped up nice and tidy. These documents are then sent out to any possible lenders who underwrite the file, issuing approval or denial of a loan. If you are a potential buyer who has been pre-approved, be prepared to be taken more seriously than a potential customer who has not applied for a loan before attempting to bid on a house. Worry not however, as pre-qualification is by no means a loan commitment from a lending institution; it is merely a loan agent's opinion that you will be approved. Verifications are generally not made with pre-qualification, as a loan is not being handed out, and therefore, nearly anyone who seeks it can achieve pre-qual status. Pre-approval, however, shows that the lender has actually taken the applocation through his or her usual procedure, so when buyers with pre-approval status speak, sellers listen. 1. If you apply for a loan after submitting an offer on a house, some lenders may take advantage of you. Since you may not have time to shop around, the interest rate and points set by a lender may be motivated by the fact that time is of the essence for you. 2. If you know how much you will get approved for, you can save time looking at houses outside of your financial reach. 3. Instead of letting your lender determine what you can and can not afford, seeking pre-approval lets you know what you truly can afford. Why settle on a lesser house with a higher mortgage payment than what you'd prefer when you can settle down roots in a place you are proud to call home. 4. Sellers know that people constantly try and buy out of their price range, and being pre-approved tells sellers that you didn't come to play, you came to buy a house. 5. 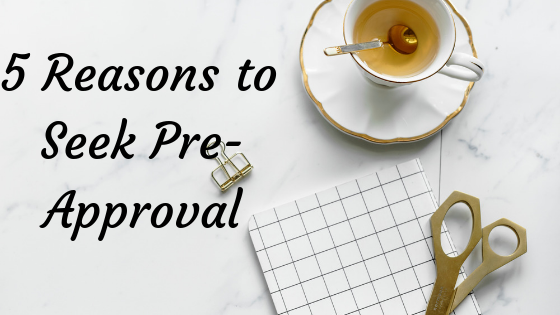 Having a pre-approved status generally will shorten your escrow time, since much of the paperwork has already been done once you've submitted your credit package. A pre-approved status certainly can cut down on much of the red tape that goes with the liberating responsibility that is owning a house, and isn't a terrible idea to procure for oneself. However, just be cognizant of the fact that being pre-qualified, and even pre-approved, isn't a guarantee of a loan. A lender will still verify your personal and financial information and quite possible verify your credit before going forth with a loan. 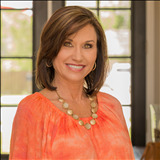 Some people believe that it is better to have and not need than need and not have, and when it comes to pre-qualifying and a pre-approved status, I completely agree.